Fans of the 80’s will really dig our latest enamel pin. 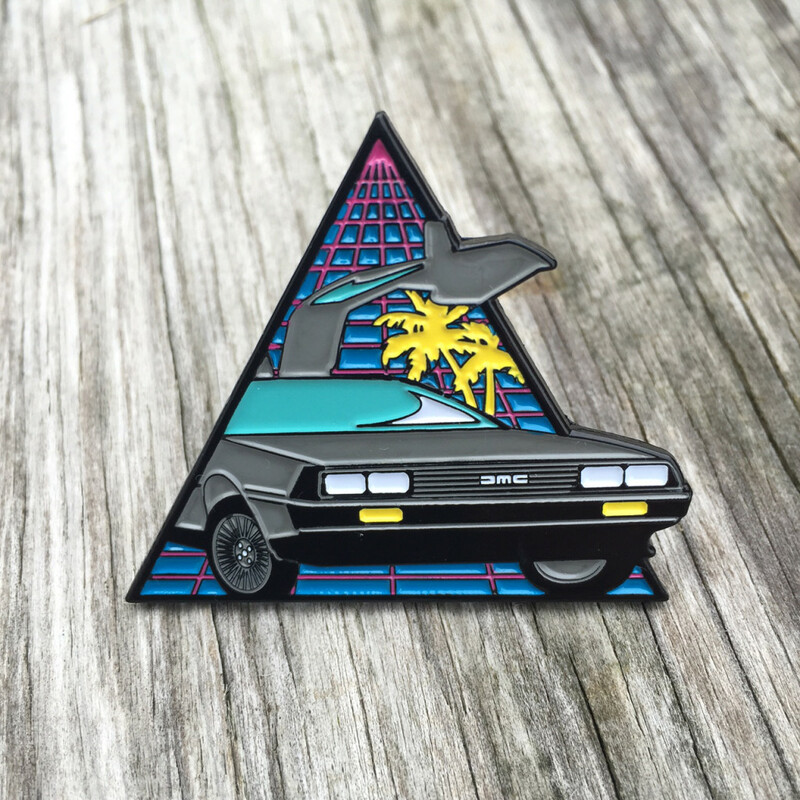 Put your Member’s Only jackets on and go back to the 80’s in style, because our DeLorean enamel pins are in and shipping now. 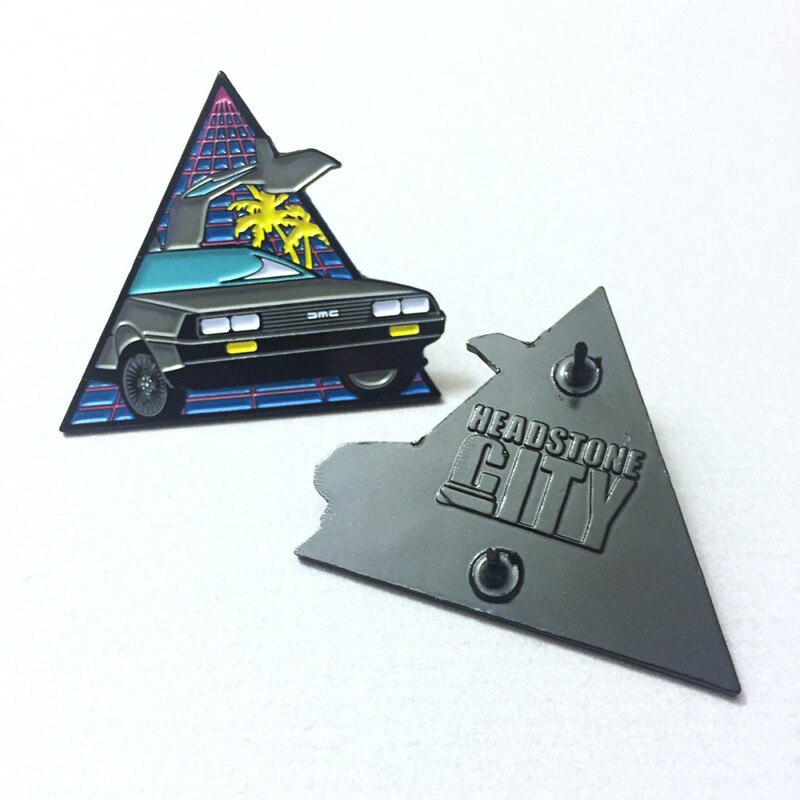 Drenched in neon goodness, Headstone City’s exclusive DeLorean pins are sure to bring you Back to the Future. Hurry, order yours now!! Don’t HeadstoneCity and don’t let the 80’s pass you by! This entry was posted in Gratuitous Horror, Pins and tagged 80's, back to the future, delorean, delorean enamel pin, headstone city, horror, horror pin by Headstone City. Bookmark the permalink.